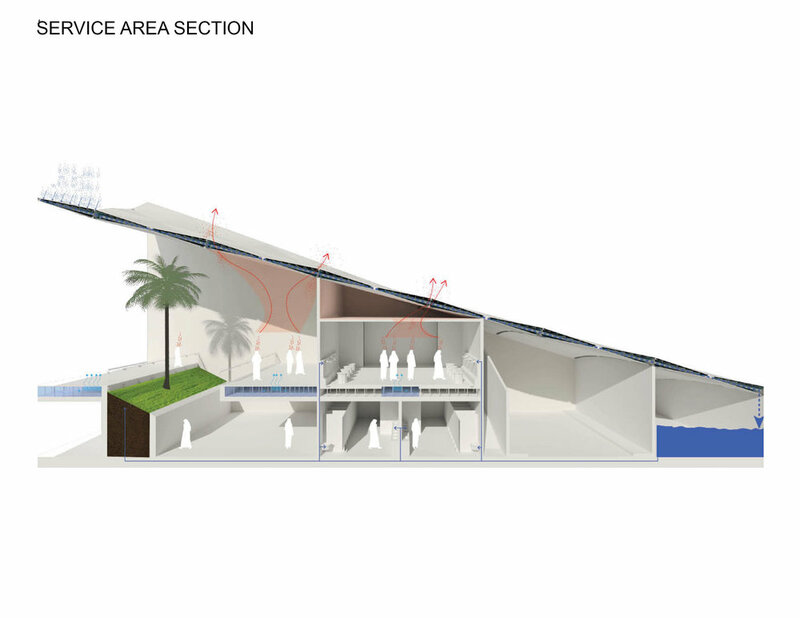 The conceptual formation of the Dubai Creek Harbor Iconic Mosque was shaped by considering two basic questions: How can we create a spiritual space by incorporating the light, geometry, and direction as the organizer of the space. 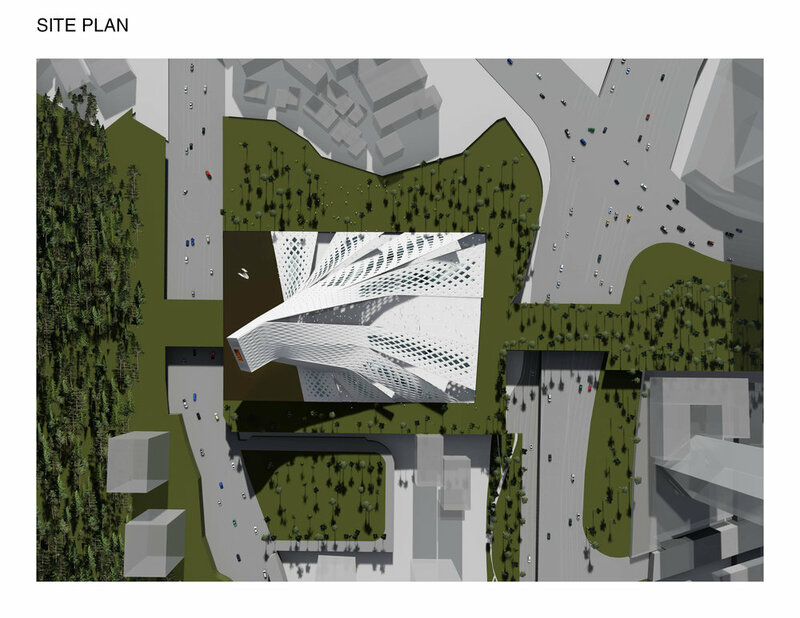 And secondly, how do we redefine the role of a contemporary iconic religious building while it serves as an iconic mosque within its context. 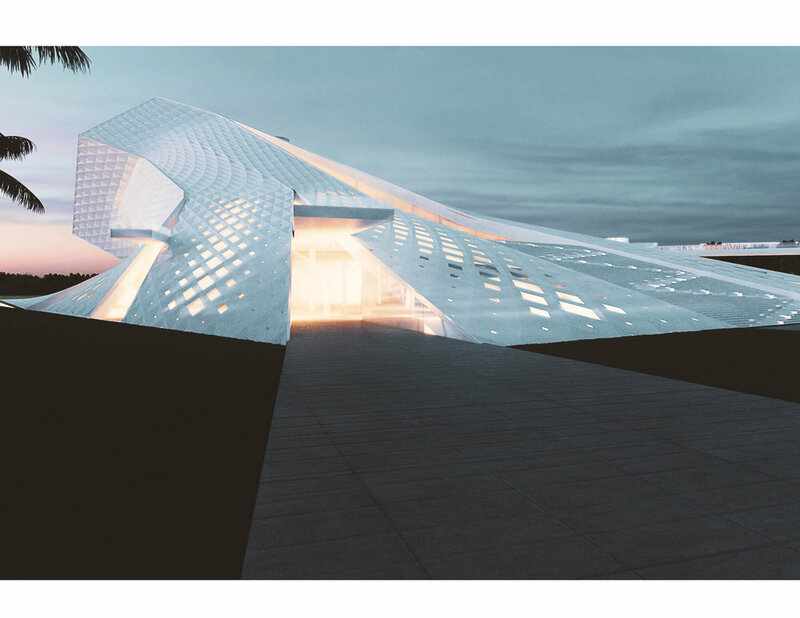 Light’s divine substance is considered as a sacred phenomenon that becomes the starting point of spatial organization of the mosque design. 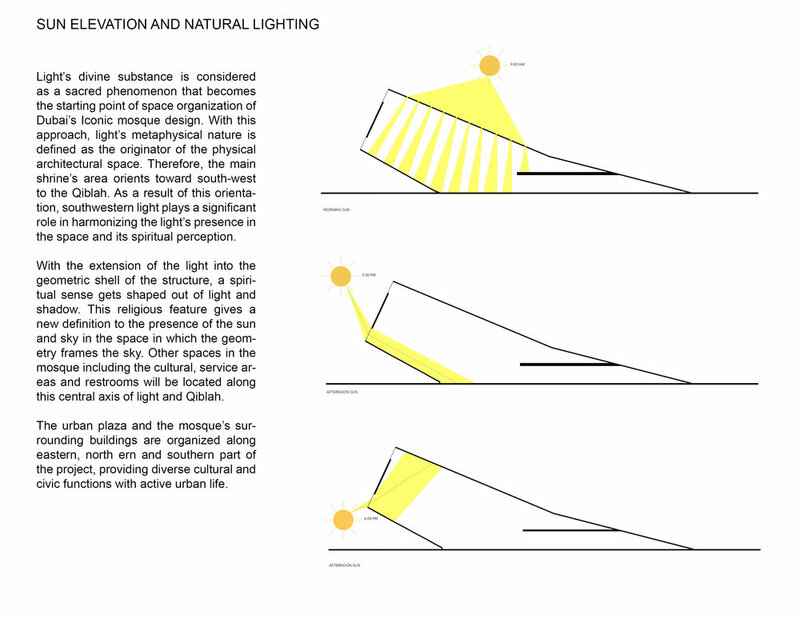 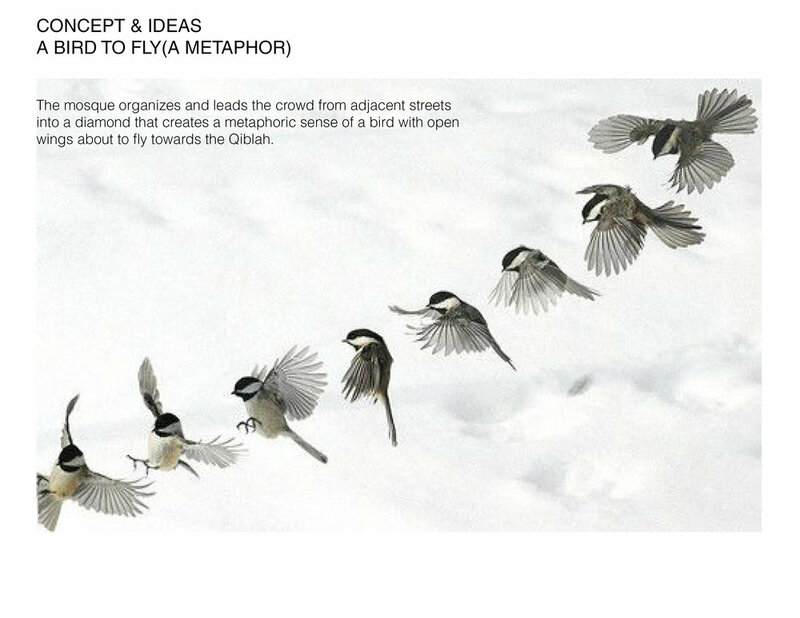 With this approach, light’s metaphysical nature is the originator of the physical architectural space. 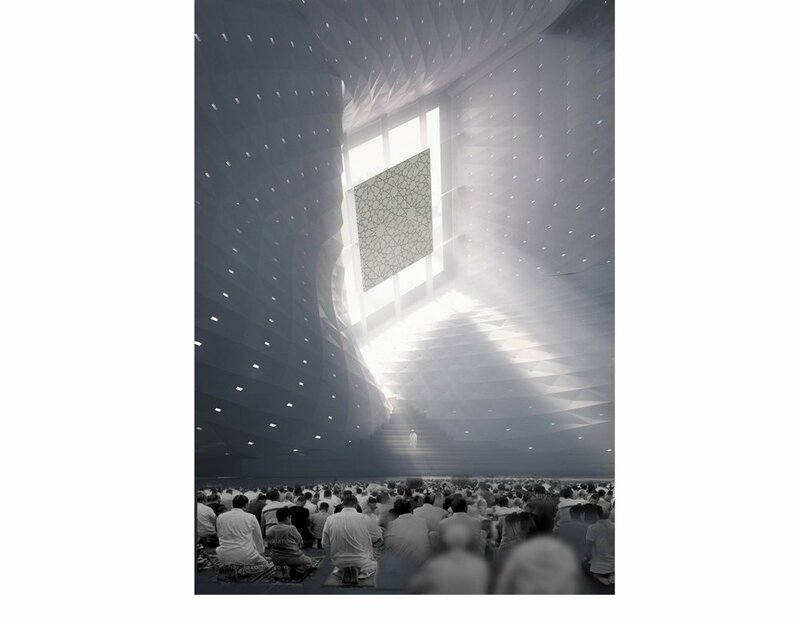 Therefore, the main shrine’s area orients toward the southwest-to the Qiblah. 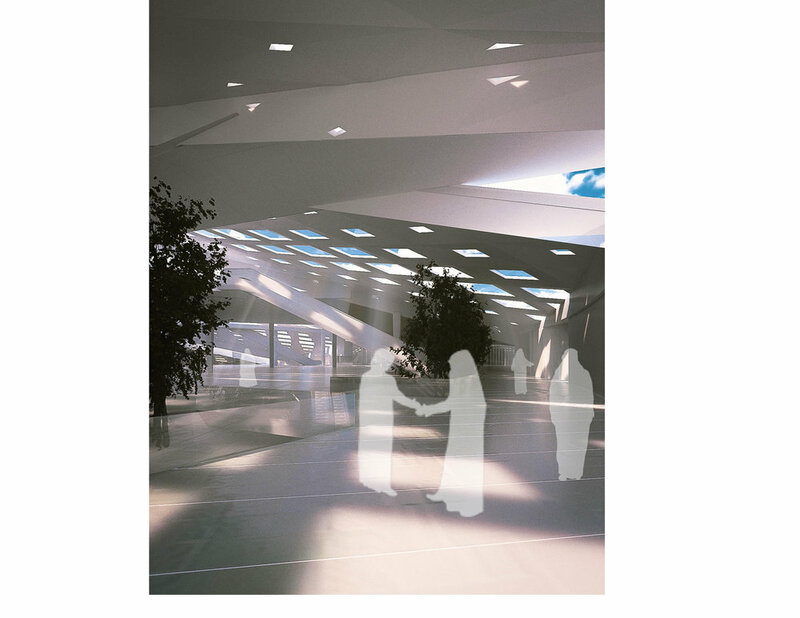 With the reflection of the light on the geometric shell surface, the light and shadow becomes a player in spiritual perception of interior and exterior skin. 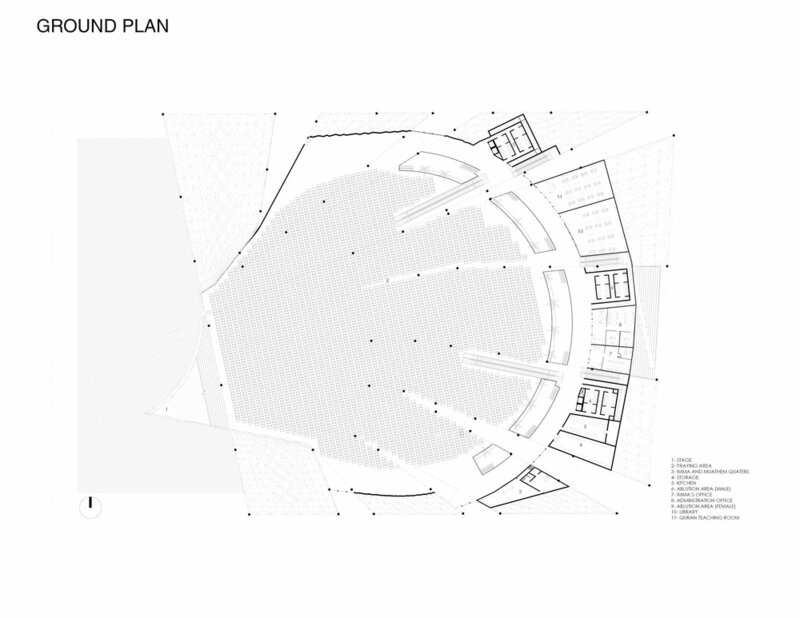 As a result of this orientation, southwestern light plays a significant role in harmonizing the prayer area in two levels, buffer zones, service area, and upper-level plaza in the space. 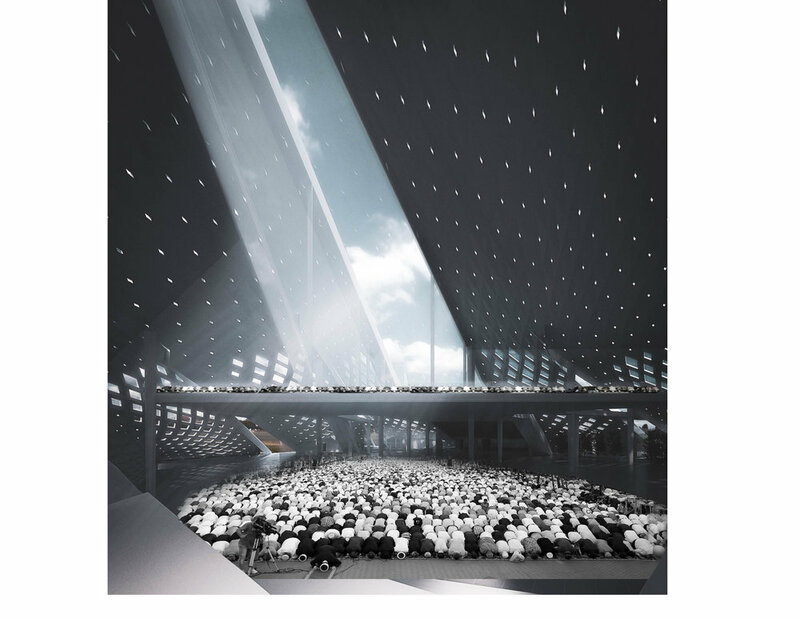 Other spaces in the mosque, including the cultural, service areas and restrooms will be located along this central axis of light and Qiblah to help smooth transition and circulation of the 10,000 prayers in two levels. 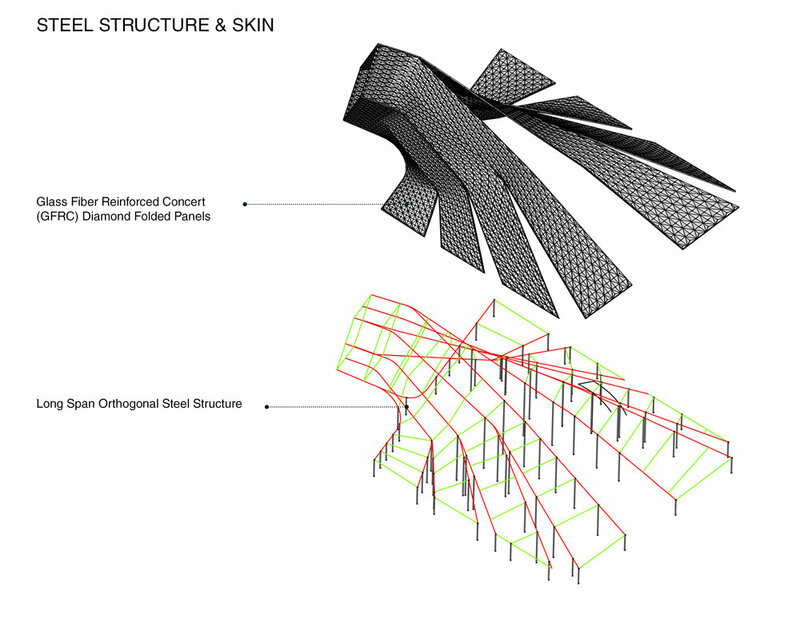 GFRC (Glass fiber reinforced concrete) paneling system of the skin is proposed to be supported by steel structure in harmony with their geometrical arrangements.